Sometime mid 2014 i was cruising eBay when I stumbled across a unusual Bari woodwinds (BW) tenor mouthpiece. It looked similar to a standard rubber BW piece but the table of the mouthpiece was cut away. On a whim I bought it and when I received it I was a little shocked that it was a bit too bright for me. I figured the best thing to do was to sell the piece. As a regular buyer and seller on eBay and SaxOnTheWeb (SOTW) I knew that the perfect description can make or break a sale so I set about learning what i could about this piece. Try as I might I was unable to discover anything about this mouthpiece. I even went so far as to search in the internet archives for old versions of the website and product lists back to the late 90’s. i poured through tens of dozens of posts about Bari Woodwinds mouthpieces on SOTW but nothing like this odd mouthpiece had been mentioned. After this I simply placed it on my mouthpiece stand and forgot about it. Until December 2014. I was cleaning out mouthpiece drawer and stand to take advantage of the Christmas buying spree and decided I’d just place it on SOTW and Craigslist as a standard BW tenor piece along with 13 other pieces and didn’t give it a second thought. I got some bites but interest dwindled until a single person request to buy that one mouthpiece. I was only to happy to sell it but then he stopped responding to my emails to setup a meeting. I decided to give up again and placed the mouthpiece back on the stand. It was then that I realized that I had Bari Woodwinds on my Facebook friends list. I snapped some pictures and sent them over explaining the situation and requesting any information on the mouthpiece. I was going to resell it on ebay when they told me what it was. While I waited I got an email from the fellow originally interested in the mouthpiece. He had a brief hospital stay and couldn’t get back to me until recently. We began negotiations again when I received the following reply from the president of Bari Woodwinds. 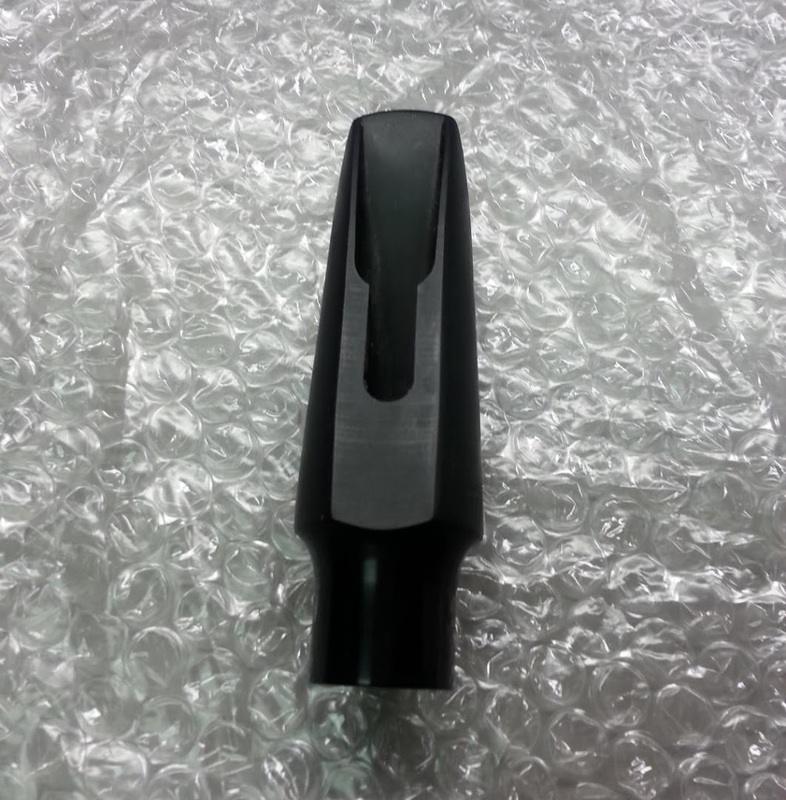 The mouthpiece was a prototype over 5 years ago that we were going to produce for another mouthpiece company. Unfortunately, it was stolen from our booth. We cannot produce it with our name on it because this design is patented. In fact, after the mouthpiece was stolen, it was circulating around and the other mouthpiece company found out. He thought we were going to manufacture them. We finally convinced him we were not and the lawsuit was dropped. Could you please send this mouthpiece back to me. Bringing this to our attention, I would like to send to you a mouthpiece of your choice. Please review the mouthpieces on our website and let me know. www.bariwoodwind.com. Clearly, this piece had a dubious history and they’d like to have it back so I’ll be sending it back to them. I completely understand how having your products stolen by some dishonest person is a painful feeling. It’s not as though small businesses have it easy so it pleases me that Jim offered to replace my piece with another. That was noble and great customer service. While I could sell this unusual piece I’d much rather give it back so they can be certain they won’t be sued by the other company, Jody Jazz maybe?